Many patients wish to rid themselves of stubborn body fat, but they cannot or do not want to undergo plastic surgery due to health reasons. While some patients have tried methods like diet and exercise, others have found that even the most disciplined and healthy of lifestyles can leave them with unwanted fat deposits. Fortunately, Dr. Wald offers a non-invasive solution that will leave patients happy and satisfied with their new, slim appearance. SculpSure® is a safe, FDA-approved procedure that can target small areas of unwanted fat and provides similar results to that of conventional surgery without discomfort or downtime. 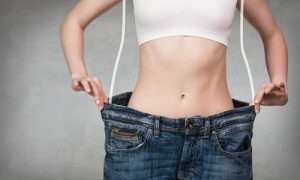 When a person loses weight, they are not losing fat cells. The fat cells merely become smaller, giving the appearance of having lost fat when in reality the cells have only lost volume. SculpSure® can help you achieve substantial fat loss by reducing the number of cells in areas such as the abdomen, hips, love handles, flanks, and thighs. It can also be used on the knees, upper arms, and other areas that have developed stubborn fat. How Does It Differ From Other Procedures? 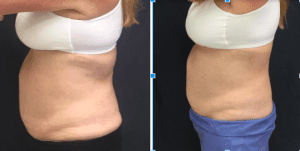 Non-surgical procedures like SculpSure® can reduce fat using controlled heating, while similar treatments like CoolSculpting® use controlled cooling to eliminate unwanted fat. One difference is that SculpSure® only requires few sessions and takes less than half the time of a CoolSculpting® treatment. While SculpSure® can eliminate mild to moderate amounts fat in several areas of the body, some patients may require a more extensive body contouring procedure because of redundant folds of skin that have developed. When this happens, patients should opt for tummy tuck surgery to help them achieve the results they desire. Your SculpSure® treatment begins with directing laser energy to the target area. The heat from the laser will disrupt the fat cells and break them down. Over time, your body’s lymphatic system will begin to flush out the fat cells. SculpSure® will also improve collagen production and tighten your skin for a firm and more toned appearance. To learn more about SculpSure®, please contact our office by calling (714) 312-3549. This entry was posted on Tuesday, November 27th, 2018 at 9:23 am	and is filed under SculpSure®. Both comments and pings are currently closed. The abdomen is one area of the body that many men and women struggle with. Some have tried rigorous diet and exercise techniques to target stubborn abdominal fat to no avail. Even “magical” pills and strict diet plans have given them little to no success in reducing the size of the belly. Those who feel as if their battle against the stomach bulge will never end may be considering extensive procedures such as tummy tuck surgery; however, surgery can be daunting and requires downtime afterward for recovery. Thankfully, there are non-surgical options available that do not involve a scalpel or anesthesia. SculpSure® is a non-invasive treatment that can help patients achieve a slimmer waistline and a flatter abdomen. With the holidays quickly approaching and the new year lurking around the corner, SculpSure® is the best way to burn excess fat so you can look and feel your best. Patients can achieve a slimmer, natural-looking appearance without ever going near an operating table. By emitting controlled light-based technology, SculpSure® targets stubborn pockets of excess fat that are unresponsive to diet and exercise. Along with fat removal, patients can benefit from the skin-tightening benefits SculpSure® offers. It is a quick treatment performed in-office within 25 minutes. Patients can go home immediately following SculpSure® and resume normal activities. A customized application pattern is applied to the treatment area and snapped into a frame. The applicator delivers laser energy to destroy fat cells permanently. The laser passes through the skin to attack the fat cells and melt them down. Patients will feel a cooling sensation throughout the process. Over the next six weeks, the body will naturally eliminate the fat cells. Patients will be able to see full results within 12 weeks. The number of treatments will differ depending on the patient, and Dr. Wald will design an individualized treatment for you. If you have excess fat you would like to target, SculpSure® may be the perfect treatment for you! Schedule your consultation with Dr. Wald today! He can evaluate your anatomy and goals to help determine if you are a candidate for SculpSure®. Contact us by calling (714) 312-3549 or by filling out our online contact form. This entry was posted on Tuesday, December 6th, 2016 at 10:00 am	and is filed under SculpSure®.